Audits are painful but useful. They’re also a required part of your fair lending Compliance Management System. They provide a comprehensive view of your compliance programs to investigators within and outside of your company. Get an in-depth view of the quality of your compliance program throughout your company’s processes, systems, and practices. 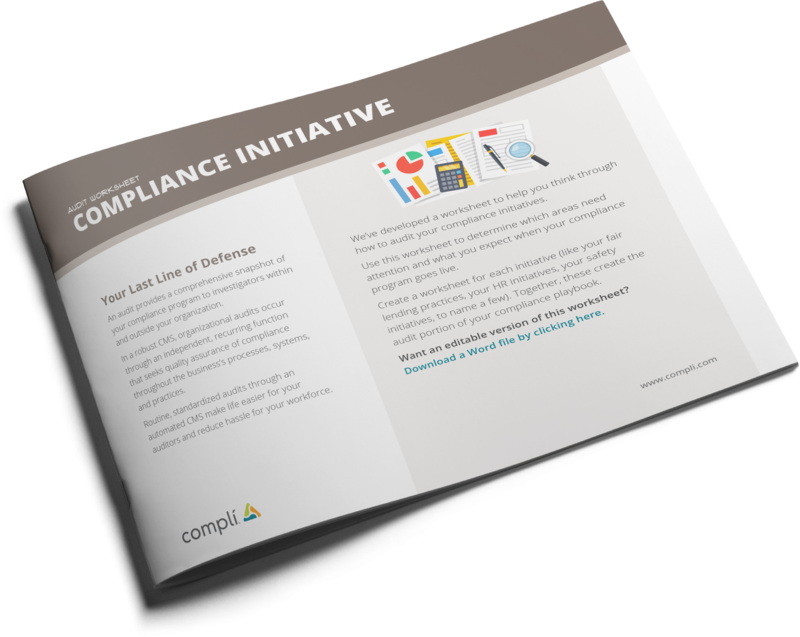 Download the Audit Compliance Initiative Worksheet now. Internal audits can help you improve your compliance programs. They’ll also put your company in a better position should a regulator or capital source request one of you. Use this for each initiative like your fair lending practices, HR, or safety initiatives, to name a few. Together, these create the audit portion of your compliance playbook. Download the Audit Compliance Initiative Worksheet today.